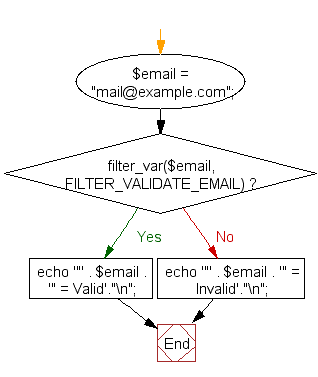 Write a simple PHP program to check that emails are valid. Hints : Use FILTER_VALIDATE_EMAIL filter that validates value as an e-mail address. Note : The PHP documentation does not say that FILTER_VALIDATE_EMAIL should pass the RFC5321. filter_var() function filters a variable with a specified filter. filter: The ID of the filter to apply. options: Associative array of options or bitwise disjunction of flags. 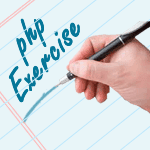 Previous: Write a PHP script to redirect a user to a different page. Next: Write a e PHP script to display string, values within a table.